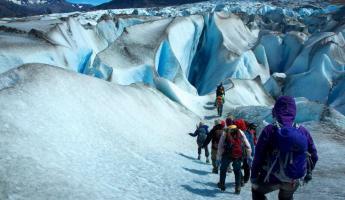 Discover the remote and breathtaking landscape of the Aysen, Chile region on this active Patagonia tour. Previously unreached before recent construction of the Carretera Austral, this isolated Patagonia wilderness offers the outdoor enthusiast an array of options. 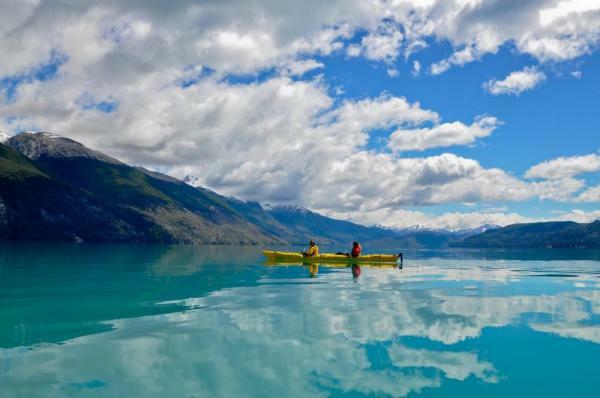 Kayak the famous Marble Caves, trek on the Exploradores glacier, and explore the nearby San Rafael National Park, and raft the Baker River. 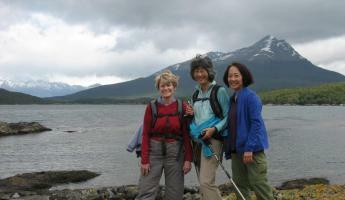 Opt for softer activities if you prefer a more leisurely paced and relaxing trip. 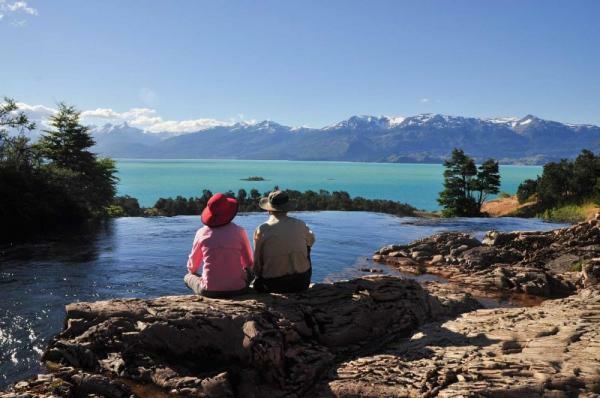 Enjoy the remote Patagonia wilderness while you stay in comfortable cabins overlooking Lake General Carrera. 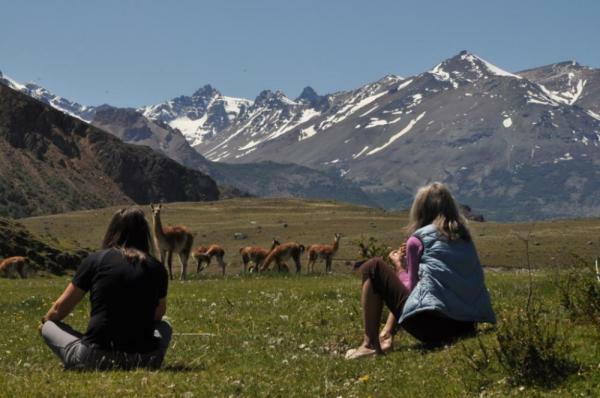 Arrive in Balmaceda airport and set out on the 6 hour drive South along the Carretera Austral and arrive to Mallin Colorado Ecolodge. The sparsely populated region of Aysen, Chile is noted for its glaciated lakes and dramatic landscape including the Northern and Southern Patagonian Ice Fields, calpyso-blue glacier lakes and fjords, and ice-capped mountains. Arrive to your comfortable and rustic cabins overlooking the Lake General Carrera, the second largest in South America after Lake Titicaca. Join your guide in the morning and drive an hour north of the lodge. 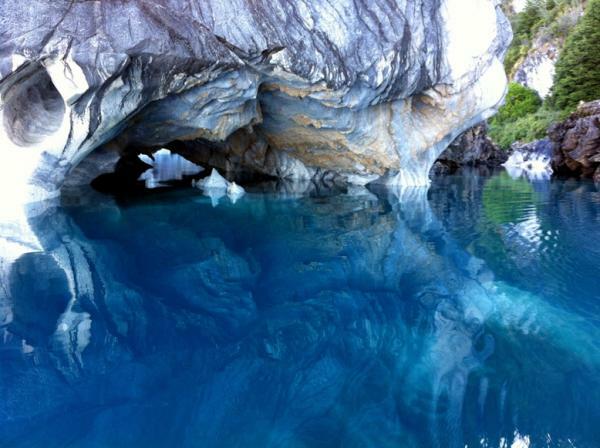 Take a boat trip to the western end of the lake and see the famous Marble Caves and Cathedrals by kayak. 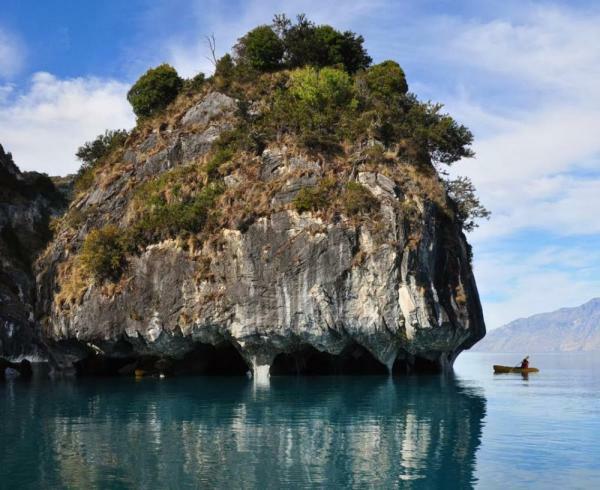 Learn about the geologists' theories about the formation of these mysterious series of cliffside marble caves created along the shores of Lake General Carrera. View the ways in which the stone has been eroded by the movement of water and wind throughout the years as you kayak the calypso-blue waters. Next continue on to the Exploraderes glacier for a full day trek. 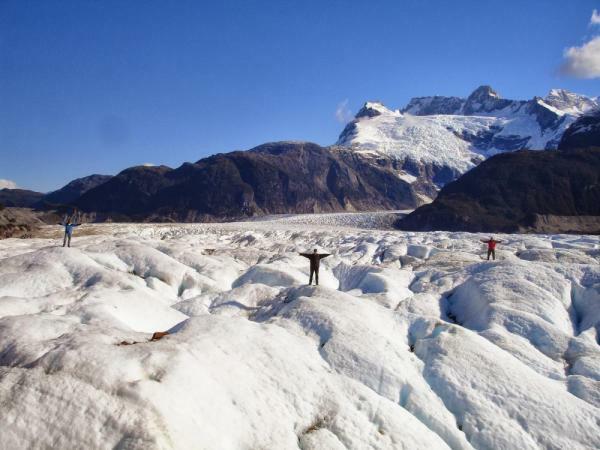 The remote Northern and Southern Patagonian Ice Fields are the largest remaining on earth aside from Antarctica and Greenland and span this region along the Carretera Austral. Trek two hours today through bushes on a trail and over stones to get to the glacier. 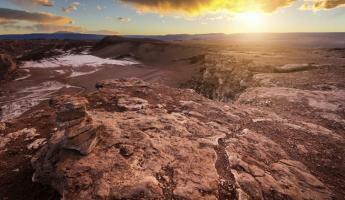 Spend the next three hours trekking on the ice plateau. Explore the immense ice caves and take in the amazing views before returning the two hours back and returning to the cabin this evening. 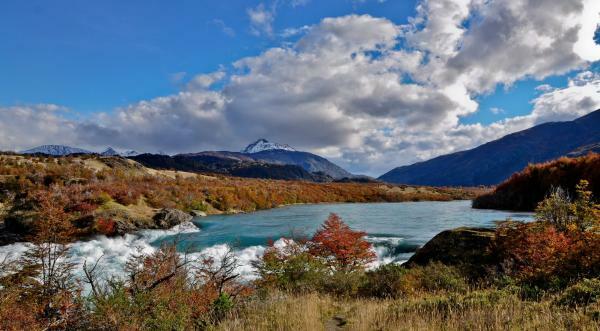 In the morning, join your guide and drive 22 miles south along Chile's Austral highway. 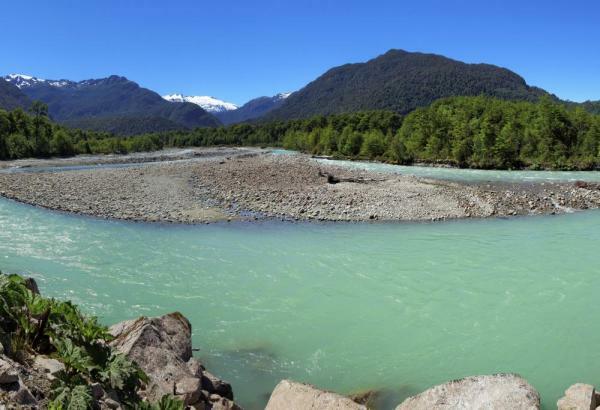 Arrive at Puerto Bertrand, a small town located in a picturesque area near the source of the Baker River, known as having Chile's largest volume-flow of water. Stop to explore the mouth of the Baker River before driving another 8 miles to where the Baker River meets the River Neff. The scenery where the two rivers join is overwhelming. 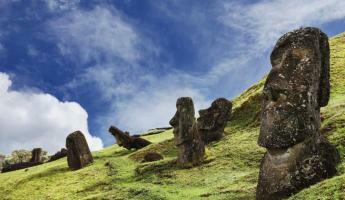 Surrounded by high mountains and abundant vegetation, the area is rich in scenic views. This afternoon take to the river for 2 hours of Class II rafting before returning to the lodge this evening. 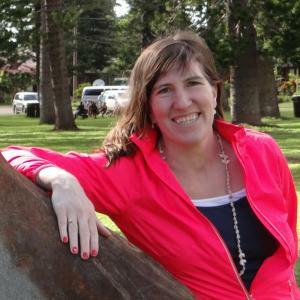 Enjoy a free day in the region to take part in a number of optional excursions at an additional cost. The highly recommended horseback ride to Mallin Colorado Lagoon takes you through a thriving forest of native trees and allows for amazing views of Lake General Carrera, Lake Bertrand and the glaciers of the Northern Ice Fields. Other activities at additional cost include full day fly-fishing on nearby lakes, visiting the San Rafael National Park, hiking on nearby trails, or arranging for another day kayaking on the lake. Return to the Balcameda Airport today in time for your return flight to Santiago, or continue on to your next Chile tour destination. Enjoy a fusion of rustic luxury, comfort and hospitality during a stay at Mallin Colorado Ecolodge. The lodge and cabins of Mallin Colorado are nestled on a rolling hillside, overlooking Lake General Carrera. The park like setting includes native trees, bushes and flowers of Patagonia's unique species.